SmileDirectClub is for anyone who wants to brighten their smile. Improving confidence and self-esteem by brightening and straightening most smiles gently and remotely, SmileDirectClub promises to deliver results within an average of six months. Founded by two friends who have not forgotten the experience of metal-mouthed youth, Alex Fenkell and Jordan Katzman wanted to find a better way to straighten and whiten teeth without breaking the bank. With Camelot Venture Group on their side, they aim to democratize orthodontics. From its humble beginnings, SmileDirectClub has been instrumental in the transformation of 250,000 smiles and the figures continue to rise. What sets the SmileDirectClub invisible aligners apart? SmileDirectClub’s invisible aligners are custom-made, tight-fitting clear plastic trays that are BPA-free. Unlike metal braces, these invisible aligners will not irritate your gums and cheeks. Designed to shift the teeth gradually into their ideal position, the therapy often takes an average of six months to complete. These invisible aligners are priced at 60% less compared to other teeth straightening products on the market. They do not even require office visits, thanks to teledentistry, making the whole experience convenient, comfortable, and hassle-free. How do the SmileDirectClub invisible aligners work? SmileDirectClub invisible aligners come in a few types. Each aligner is designed to make slight adjustments to the position of teeth based on their layout, which is mapped out by a duly licensed orthodontist or dentist affiliated with SmileDirectClub. Once your case has been reviewed, you will start wearing the aligners to help advance you to the next stage. Direct shipping is offered to ensure convenience for customers. How much do SmileDirectClub invisible aligners cost? To get started, you will need to get the home impression kit for $49 or visit a SmileShop and get a 3D scan of your teeth for free. Once you are ready to start the therapy, you are provided with two options. The Single Pay is where you make the $1,850 one-time payment, which is 60% less than what is charged by competitors. The SmilePay option allows you to make a payment of $250 and then for the next 24 months, you’ll just need to pay $80 per month. After completing the treatment, it is recommended that you get the retainer which is priced at $99 per set to preserve your smile. More information on pricing can be found here. What forms of payment does SmileDirectClub accept? Here are the payment methods accepted at SmileDirectClub. Payment Methods Accepted at SmileDirectClub. Can insurance be used in paying for SmileDirectClub invisible aligners? If you have a dental insurance plan that includes orthodontics benefits, your insurance company may reimburse you directly after getting your aligners. However, direct payments from insurance companies are not accepted at SmileDirectClub. They can provide you the forms needed for the reimbursement to be processed though. Find out if your insurance will cover the costs here. Here is a breakdown of the costs you'll be subjected to if you use insurance to pay for SmileDirectClub invisible aligners. Does SmileDirectClub offer a payment plan? Yes. SmilePay allows customers to conveniently pay for the invisible aligners through making a downpayment of $250. They will then pay $80 every month for the next 24 months. There are no forms to fill out and no credit checks needed either. What are SmileDirectClub’s refunds and return policy? SmileDirectClub is dedicated to making people smile. If it has been determined that their invisible aligners aren’t the right fit for you, they will refund the SmileShop Scan or the $49 impression kit. If you’re not happy with the custom-made invisible aligners, you can return it within 30 days from the time the shipment has been delivered to you. You will have to shoulder the shipping charges. If, after going through the smile plan, you are not satisfied with the result, you must notify SmileDirectClub for a re-evaluation of the result. Once approved, you may receive additional aligners, provided that you made the notification within 30 days from completing the smile plan. Click here for more information. If you need to return a faulty product to have it replaced for the same item, you can contact Customer Care at (800) 848-7566 to make the request. Where does SmileDirectClub ship to? SmileDirectClub invisible aligners are currently available in the United States and Canada. Are SmileDirectClub invisible aligners right for me? A SmileDirectClub order begins with a free Smile Assessment along with an at-home impression kit to determine if you are a candidate. If a SmileShop is accessible near you, you can make an appointment to get a 3D scan of your teeth. The 30-minute procedure is performed by SmileGuides using a highly accurate 3D camera to successfully map your smile digitally, including your gum lines and your teeth. To get a free smile assessment, click here. Where are the SmileDirectClub SmileShops located? Below are the different SmileShop locations you can visit to get a 30-minute 3D scan of your smile. To schedule a scanning appointment at a SmileShop near you, click here. If you need to reschedule or you will be late for your appointment, call (800) 688-4010 to avoid getting charged a cancellation fee. 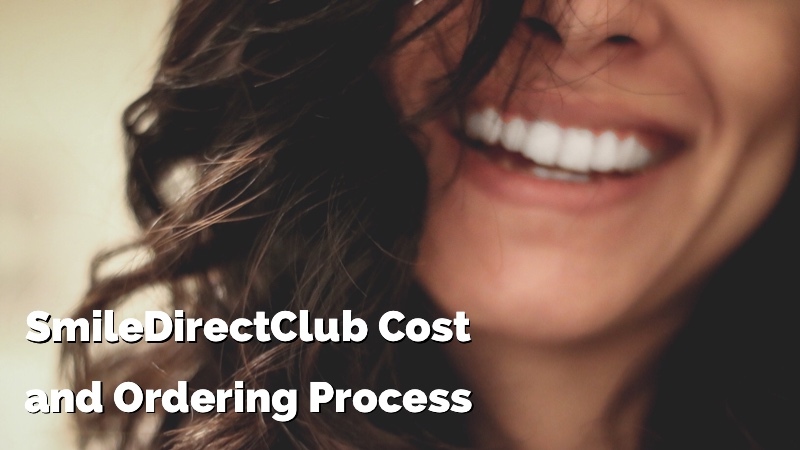 How long is the SmileDirectClub treatment process? After your 3D scan or impressions are received, a custom treatment plan is then created which includes a 3D visualization of the expected movement of your teeth during the treatment. Typically, most smiles are straightened, on average, in six months. Click here to get an idea of how the custom treatment plans work. What happens after the SmileDirectClub treatment is completed? To preserve your smile after treatment, a retainer must be worn. A set of SmileDirectClub retainers is available for $99. For the first two weeks, the retainer needs to be worn 24 hours. Then, you can just wear it while sleeping. Keeping retainers fresh is very important so it is recommended that you get them changed every six months. How can I contact the SmileDirectClub customer service? 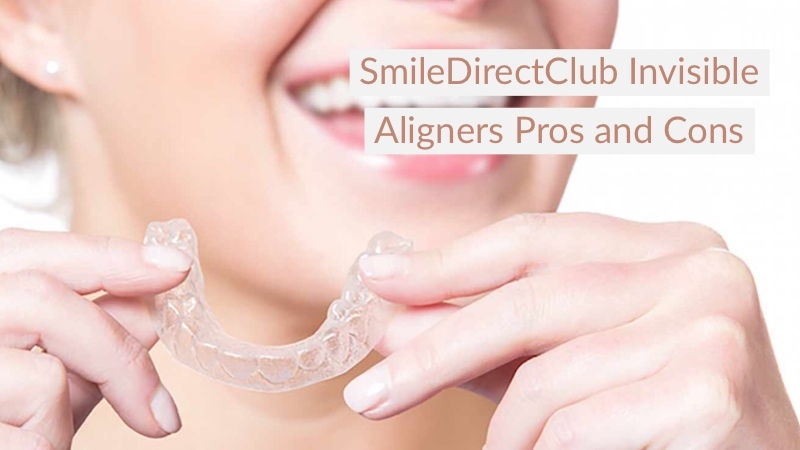 If you have any questions about invisible aligners and the treatment that SmileDirectClub offers, you can contact their customer care team at (800) 848-7566. You may also send them an email, and expect a response within 24 business hours. Are you happy with the SmileDirectClub offers on this page?